Should you teach in an urban or rural school district? Weigh your options by learning as much as you can about each one. What are the advantages and disadvantages of each? For starters, here are some of the things that you should know about rural districts and rural teaching jobs. In some states, each school district receives the same amount of funding no matter what. Although many people feel like this is unfair to urban school districts that lack funding, the fact remains that many rural schools need financial assistance, too. Rural school districts are smaller than urban school districts, but there can be just as many people below the poverty line in these areas. Without adequate funding, it’s difficult to get highly qualified teachers and administrators, facilities, textbooks, and updated technology. Many of the rural schools are older, so they need more funds in order to maintain the buildings and facilities, too. Large school districts tend to have one superintendent with several assistants. These assistants specialize in one thing, so the school district benefits from their expertise. In a small, rural school district, there is only one superintendent. This individual is expected to have general knowledge of everything needed for the school district. This makes it difficult to focus on the various needs of the schools, teachers, students, and community. Another issue stems from the fact that many new teachers are recruited for rural teaching jobs when they’re first starting out. Then, they move onto other school districts that can afford to pay them more or have closer amenities within their cities. This leads to a high teacher turnover in rural areas, making it difficult to invest in quality teachers and teacher development. Rural school districts are made up of small communities. In these communities, everyone knows each other, making it difficult for students to slip through the cracks. Teachers get a chance to really get to know the students and their families. The community is very supportive of education, believing that education is important to their students’ future success. Although behavioral problems still happen in urban school districts, they tend to have much less issues in the classrooms. Part of this is because of the great support for education. Students recognize the value of their hard work in school. They want teachers who will push them to meet their potential. 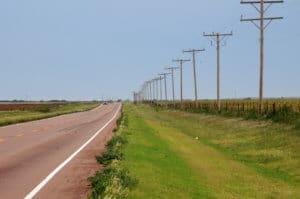 As you weigh your options and consider teaching in rural school districts, it’s important to think about the pros and cons. Choose a placement that will help you get the most from your teaching experience, whatever that may mean to you.